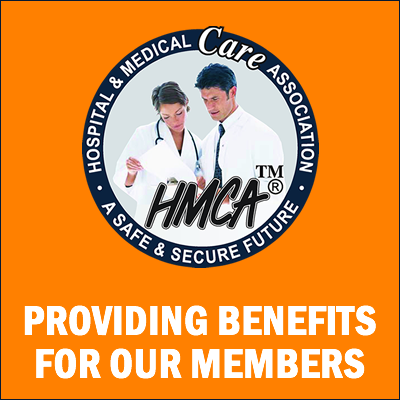 Since 1993, the Hospital & Medical Care Association (HMCA) have been providing a range of voluntary products and services, specially tailored to the needs of the Irish Federation of University Teachers members and their families. We have over 35 years’ experience dealing with over 700 Associations in delivering first class service at highly competitive rates. We do not deal with the general public and do not advertise nationally. This means that we can continue to offer reduced costs coupled with first class service. Hospital Benefits: Day-case and overnight admissions. Specialist Services: Consultations, investigations, pathology, scans, x-rays and physiotherapy. Dental Benefits: Hygiene and dental examinations, x-rays, remedial or restorative treatment, dental accidents and oral cancer. Optical Benefits: Eye examinations and benefit towards spectacles. Complementary Medicine Benefits: Osteopathy, Chiropractic, Acupuncture, Chiropody and Podiatry. Personal Accident Cover: Accidental Death Cover within EEA and Permanent Disability Cover within the EEA. Maternity Grant: Per Birth- when both you and your spouse have been members of the plan for at least 12 months. Provides cash benefits for you or your family’s medical expenses with enhanced benefits to the Care Starter Plan. 24 hour medical telephone helpline. Pays double benefits for accidents when hospitalised. Even pays double benefits when overseas and in hospital. Provides you with cover at any dentist for: Routine examinations, hygiene, x-rays, remedial and restorative treatment. Cover is also provided for emergencies, accidents and oral cancer. Provides your family with a tax-free lump sum if you die, up to the age of 79. Provides 24 hours a day, 365 days a year worldwide cover for: Accidental death, permanent disability, legal expenses and liability cover. Provides €12 million World Wide or European Cover – annual or single trips, covering: Emergency medical and transportation expenses, cancellation and curtailment, delayed departure, loss of baggage, loss of baggage and cash, personal accident benefits and personal liability. Winter Sports and Golf cover is optional at an additional cost. Provides full cover for home-starts, roadside-assistance and recovery following an accident or breakdown. Cover also includes: theft-recovery, hotel accommodation, relief driver and 7 days FREE Continental Cover. All plans are backed up by a first class claims handling team who will ensure efficient and prompt settlement of your claim.